The company is known as one of the famed Medieval Tents Manufacturers, Exporters, and Suppliers from New Delhi, India. 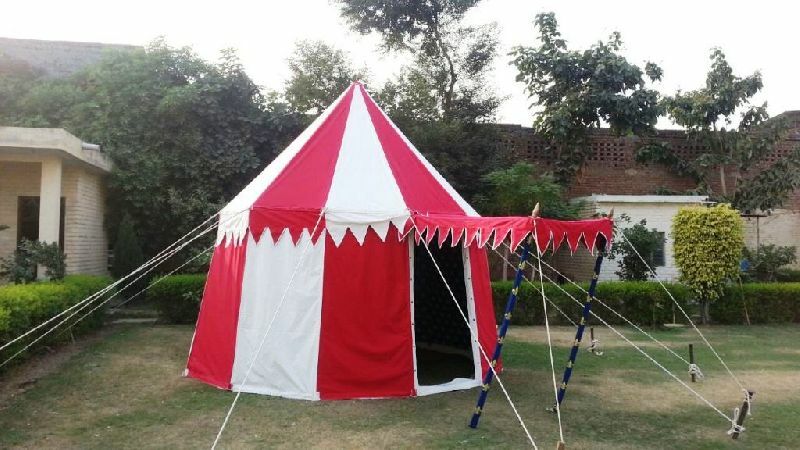 These Medieval Tents are available with us in a wide collection that encompasses Round Tent and Warrior Square Tent. 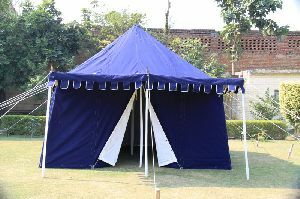 The Medieval Tents, which we offer, are designed out of the high-grade materials, as per the prevailing market demands. Our Medieval Tents are beautiful, qualitative, water proof, and very competitively priced. Inspired from the medieval periods imperial military camps, the Round Tents is high in demand amidst the clients across the globe. The company specializes in the manufacturing, exporting, and supplying of Round Tent in all over India and abroad. Our Round Tent has attractive looks and vibrant colors. 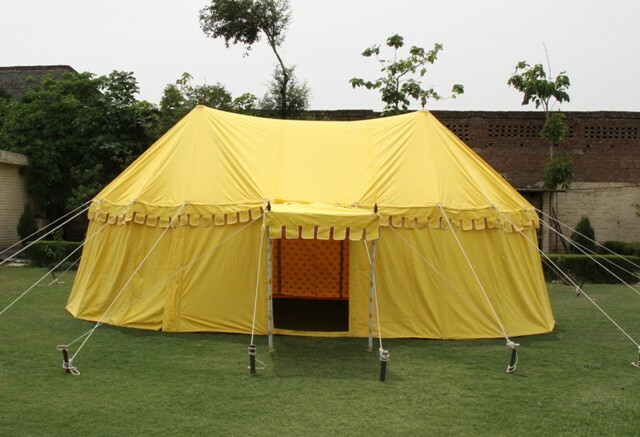 The company is known as an eminent Warrior Square Tents Manufacturer, Exporter, and Supplier from India. Depicting the medieval times, our Warrior Square Tent is highly acknowledged amidst the clients across the globe. Our Warrior Square Tent is designed by the team by keeping in mind the special requirements of the clients.